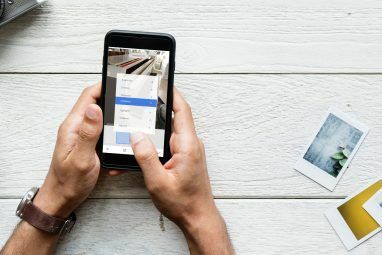 With 150 million active users on Instagram, it’s always a challenge wading through the millions of photos posted on the mobile app on a daily basis. Here at MakeUseOf, we like to help out a little, and uncover some interesting people worth following. Whether it’s gems we think you shouldn’t be missing out Tired Of Boring Selfies? 10 Instagram Gems You Don't Want To Miss Tired Of Boring Selfies? 10 Instagram Gems You Don't Want To Miss Instagram has more than 100 million active users. How do you find the really awesome users to follow? The ones that upload photos that are actually worth your time? We found 10. Read More , great nature photographers Get Inspired: 10 Amazing Nature Photographers To Follow On Instagram Get Inspired: 10 Amazing Nature Photographers To Follow On Instagram With 130 million users and counting, the world has never seen such a tsunami of photography aficionados. Is it possible to draw out ten amazing nature photographers who are snapping the beautiful world around us... Read More , interesting travel photography feeds Travel The World With These 10 Instagram Accounts Travel The World With These 10 Instagram Accounts If you can't actually get out and about yourself, there's no better way to travel the world than through photography. 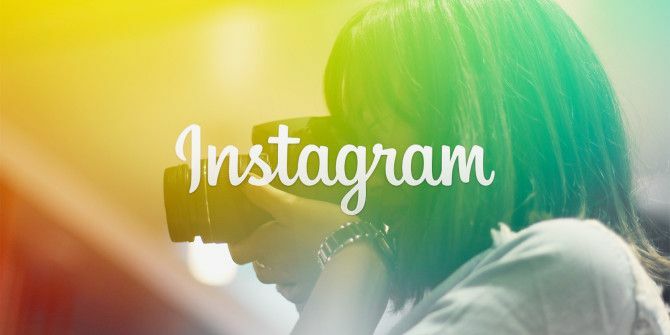 And while Instagram might be often (and unfairly) better known for food photos, or even... Read More , or even Instagram hashtags 10 Unusual Hashtags You Need To Follow On Instagram 10 Unusual Hashtags You Need To Follow On Instagram In the crowded space of Instagram, it is the quirky photos that draw the eye. Follow these ten unusual hashtags if you like your photos to be a little bit off the beaten track. Read More you should keep tabs on, there’s a ton of excellent Instagram users we think you should be following. But what about actual professional photographers? Instagram has had its share of criticism from some professional photographers who believe the app is “debasing photography.” (I’ve made my personal opinion known on why Instagram is more than just a photography app Instagram Isn't a Photography App, It's a Community [Opinion] Instagram Isn't a Photography App, It's a Community [Opinion] Over the past month, there's been a renewed deluge of articles arguing over Instagram's merit as a photography tool. 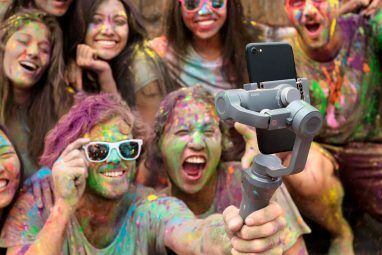 Every so often, tech bloggers, photographers and journalists come together in a discussion over the merits... Read More .) 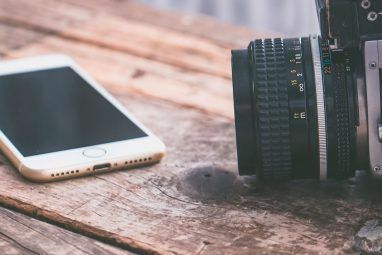 But for every professional photographer who takes issue with Instagram, there are many who are happily using the app to reach an additional photo-loving audience. They’re worth a follow. Elena Kalis has over 170,000 followers, and for good reason. The photographer’s Instagram feed is a consistent and stunning collection of underwater photography. Based in the Bahamas, she has no shortage of subjects. Her latest photos are a dreamy and heady mix of models, fish and crystal clear blue waters. Sion Fullana, a Spanish photographer based in New York City, describes himself as a “visual storyteller.” With over 63,000 followers, Fullana gives Instagram users a fascinating insider’s look into an equally fascinating city. A pioneer in mobile photography, he is a must-follow on the mobile photography app. Kalle Gustafsson has a modest following of just over 1,200 on Instagram, but the Swedish photographer and director has uploaded a small but tasteful collection of images to Instagram. Showcasing his professional images of models, actors and landscapes, he has also given viewers a sneak preview of his upcoming book. Cairo-based photojournalist Mosa’ab El-Shamy has documented the last three years in Egypt, starting with the 18-day uprising that unseated former president Hosni Mubarak, to the removal of former president Mohamed Morsi earlier this year, along with everything in between. His Instagram feed is an interesting mix of photos that belong alongside the latest headlines out of the country together with personal and touching photos of the people of Egypt. Well-known HDR photographer Trey Ratcliff, who is extremely active on Google+, can be found on Instagram as well. His feed stays true to his stunning style that takes viewers around the world in a heady and HDR-heavy photographic tour of landscapes, cityscapes and more. Another New York based photographer, Eric Thayer is a photojournalist whose work has been published by Reuters, the Wall Street Journal, the New York Times and more. His Instagram feed not only displays his professional work that you might catch in major US newspapers, but also gives a more personal glimpse into the life of the photographer. Gundam Wing, who uses the username Zemotion on Instagram, is Beijing-born, raised in Singapore, and is now based in New York. Her Instagram feed, which is followed by over 14,000 people, is a combination of her professional work and her travels, and she’s even posted a selfie or two. Alex Prager, an American photographer who spends his time between New York and Los Angeles, has just over 10,000 followers on Instagram. Her feed is mostly images from her personal life, with a few professional photos interspersed in between. At the beginning of February, she shared a stunning photo of the late actor Phillip Seymour Hoffman after his death was announced. Detroit-based photographer Joshua Lott’s Instagram feed has just over 1,200 followers, and is primarily dedicated to street photography. This doesn’t stray far from Lott’s professional photography which leans towards photojournalism. A regular contributor to The New York Times, Reuters, Getty Images and Bloomberg, his work has also appeared in Time, Newsweek and People. Italian photographer Alessandro Rocchi shares photos on Instagram in short bursts, followed by long intervals of silence. But his photographs are worth the wait. Giving no description about where the photos were taken, it’s clear from his Instagram feed that he has travelled to Morocco and elsewhere. His feed is an interesting mix of personal and travel or street photography that will have you wanting more. Who would you add to this list? Share links to their Instagram profiles in the comments. Explore more about: Instagram, Photo Sharing, Photography, Smartphone Photography. Photographer from South Africa. His photographs have a great deal of life and color. He takes the life and people of Africa. It's like a big story about one day of Africa. Very nicely. Thank you so much, Nancy! Appreciate the kind words and the support! @neilochka. Neil Kramer does passer-by city photography. Astounding stories, told on film.